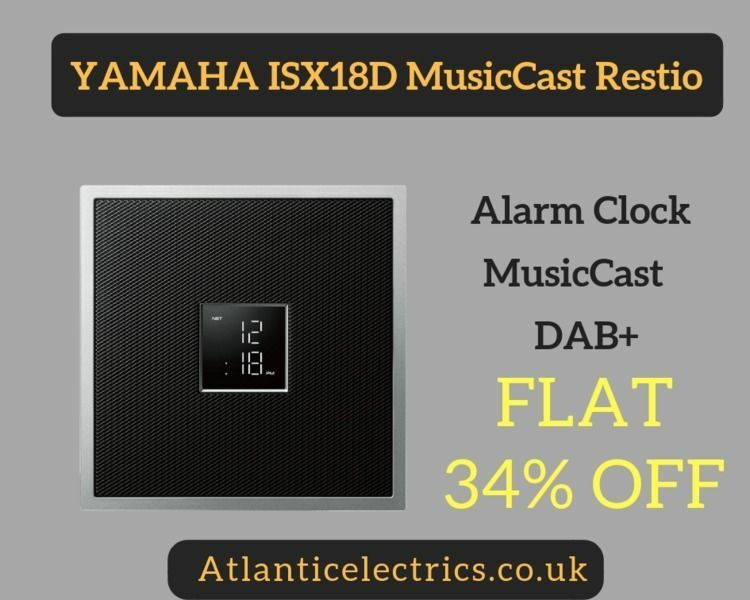 Flat 34% OFF - YAMAHA ISX18D MusicCast Restio at Atlantic Electrics. Listen to your music in any room, with the MusicCast-equipped Yamaha ISX18D. Now Stream you entire Music Library, Spotify, Qobuz & more streaming services plus Internet Radio & #DAB. Compatible with all #YamahaMusicCast items so expand your system and fill your house with crystal clear sound. Built in #alarm clock & stereo pairing capabilit.